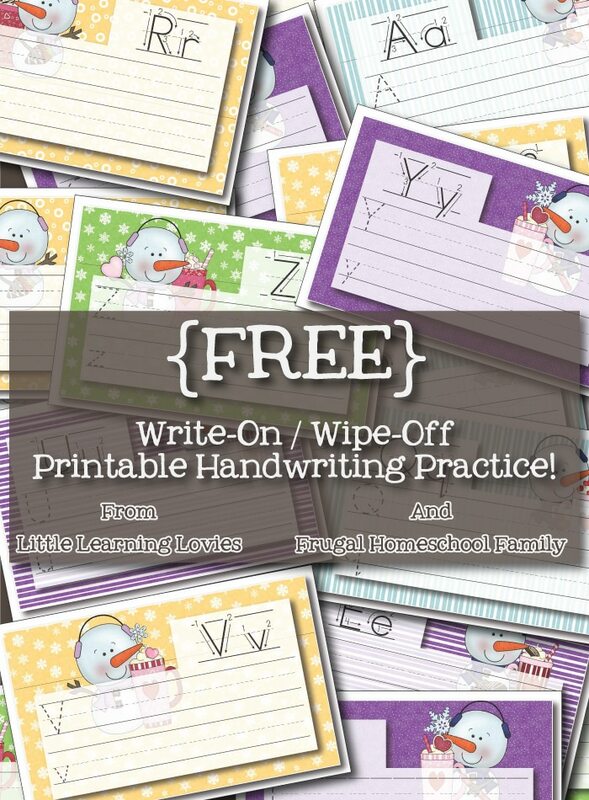 Little Learning Lovies has teamed up with Frugal Homeschool Family this month to bring you a FREE set of printable handwriting cards. 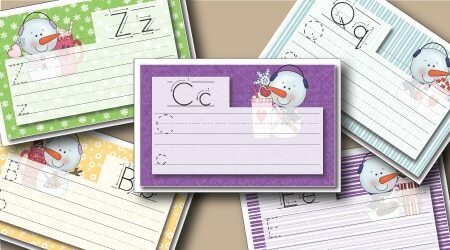 You laminate them and then you can use them with dry erase markers/crayons etc. Like them? These Free Write-On / Wipe-Off Snowman Themed Handwriting Practice can be found over at Frugal Homeschool Family right now... I hope you enjoy them! We have LOTS of other fun handwriting practice sets at the Little Learning Lovies store… CLICK HERE to see them! Here at Little Learning Lovies, we like to spoil our loyal subscribers with oodles of free fun! Check it out!